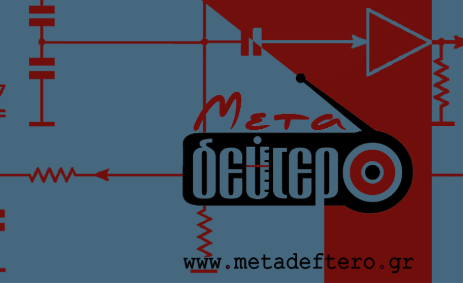 Metadeftero is a cooperative “social” radio created in October 2013 by a group of people aiming to create a connection between music and society. Some of the initial members were fired from the Greek National Broadcasting Network (ERT) and started to operate the station inside ERTOpen an initiative of ex-workers of the then closed ERT. Since 2014 they have started their own studio and are independently organized. Through the station’s broadcasting experienced and amateur broadcasters, artists and social initiatives can play music and talk about art and everyday issues. As Open Lab we want to explore the motivation for radio usage from social movements and use the radio broadcasting setting as a space for participatory design. For this cause we plan on creating a DIY toolkit based on the Metadeftero experience that will support existing cooperative broadcasters and allow for social movements and other commoners to create their own broadcasting shows. Following participatory design methods, we plan to create the framework through which radio broadcasting could facilitate political participation and empower initiatives and activists.